A $48,000 Cat Dozer topped PayPal's list of most expensive mobile payments this year. Have phone, will shop. That mantra is being increasingly adopted by people on the go. As with all things, some like to take it to the extreme. How about a white gold necklace dripping with 125 diamonds totaling 31.3 carats for $46,500? Or a Caterpillar (CAT) bulldozer for $48,000? These are just some things that people bought on their phones using PayPal, the e-commerce payment service. They were among Paypal's top five mobile payments this year totaling $220,000. With a swipe of a touch screen or a spin of a phone trackball, one mobile shopper bought a pre-1938 Lincoln Cent coin collection. It included a 1918 penny, which cost $12,000, and another from 1914 for $9,000. The entire collection cost more than $46,000. Another person scored a $40,000 men's diamond chain necklace. An art collector snagged an original painting from Romanian-born cubist artist Nechita Alexandra for $40,000. These buyers aren't alone. 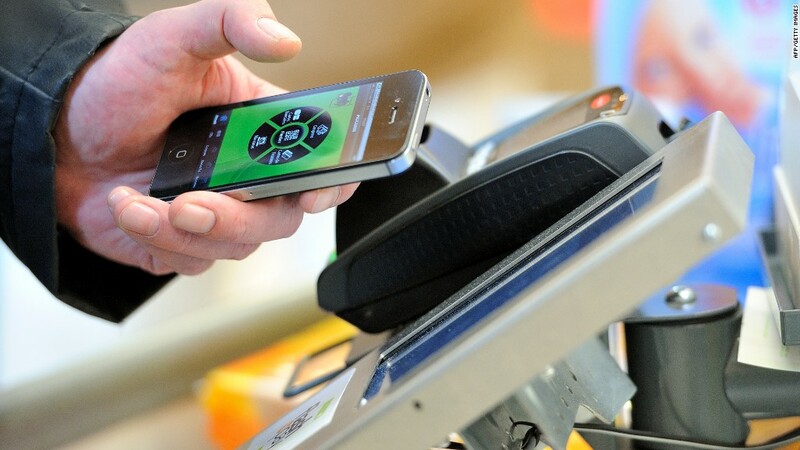 A growing number of people are using their mobile devices to shop this holiday season. It's now commonplace for customers to use their smartphone or tablet at retail stores to determine whether they can get a better deal for a certain item online. On Cyber Monday, after the post-Thanksgiving Black Friday weekend, about 13% of shoppers made purchases using a phone or tablet -- up from 7% a year earlier, according to IBM Digital Analytics Benchmark, which tracks more than one million e-commerce transactions per day from more than 500 retailers. Roughly 18% of shoppers checked out deals on their mobile devices that Monday, up from 12% last year. It's helped fuel online sales. On Black Friday, online sales grew 21%, according to IBM. At stores, despite the lure of doorbuster deals, sales declined nearly 2%, according to ShopperTrak, which measures and analyzes foot traffic at more than 50,000 retail locations nationwide.